I’ve never owned rain boots until this point in time. Please lightly welcome me to the group. 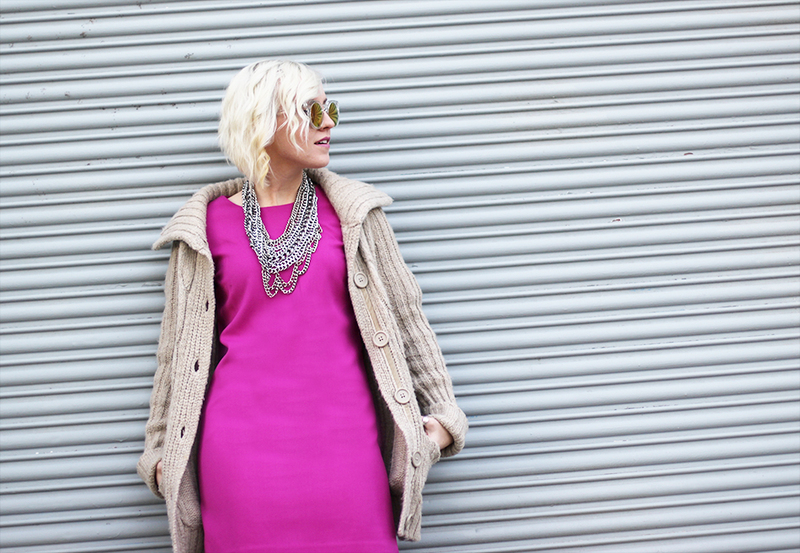 I decided to go for a overtly pink shift dress, pairing it with my loudest neck jewels. Seemed like the right amount of girl-ness to offset the utility feel of the boots. I adore the little pink joules tag on the front of these. I’ll be the first to admit, is saying a lot since I’m a big design/typographic snob. 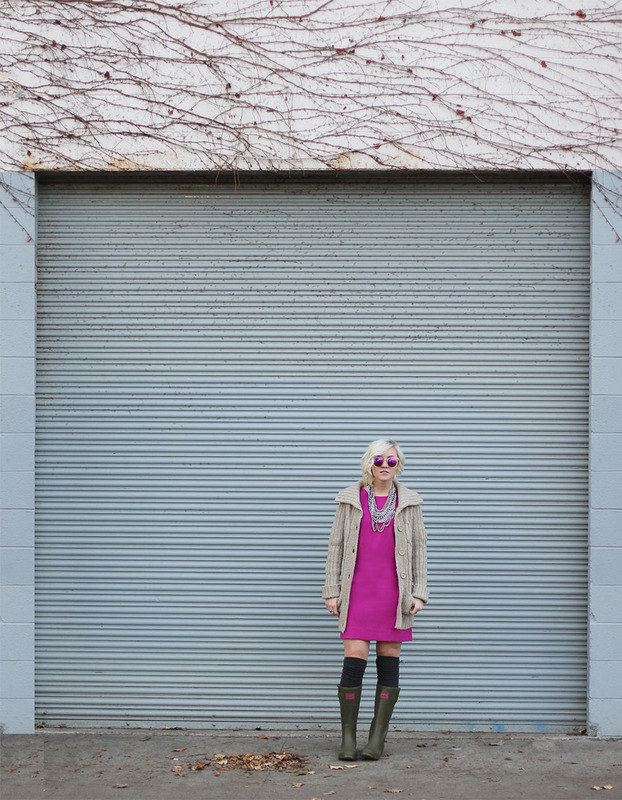 The pink + hunter green combo is a color theorist dream. I was super impressed when browsing the selection of wellies. You’ll find yourself in a sea of florals, stripes, polka dots, bee & roosters patterns! If it was actually raining I would pick up one of these clear rain coats. Call it trendy all you want—it’s rad and I don’t care. These boots will be back soon for some serious puddle splashing! 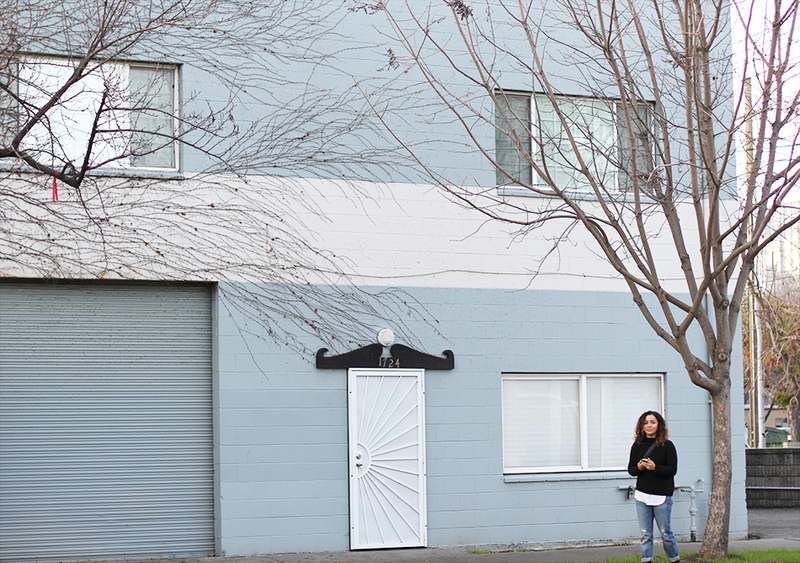 One more of this building, mostly because I like the door, vines growing and pale blue tone. How cute is my little photog buddy? !